Now that pollen season is just around the corner, it’s time to check on your filters, and get them replaced as a preventative measure. The longer you wait between each engine filter replacement, the more damage and wear you can expect to see in your vehicle. 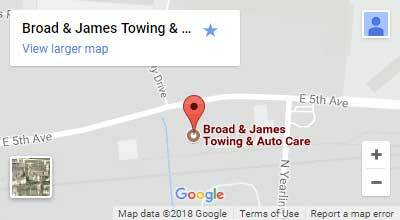 Stop by Broad & James AutoCare & Towing in Columbus, OH to hear how our team of experts can assist you with your air filters. Stop by our Broad & James AutoCare & Towing in Columbus, OH to get one of these filters for your vehicle. We look forward to seeing you! When is it Time for Struts & Shocks Repair ?